Are you curious about data? Do analyzing data to get profitable insights satisfies your curious mind? If your answer to above questions is "Yes", then Big Data Analytics is the right career path for you. We have come to a stage where now almost anything you dream of can be done by machine learning bots. Automaton has hit the IT industry and is growing at a very rapid pace. Many would argue that though we can automate anything like writing code for a website, a machine could never replace the creativity of the human mind. But is this actually true? I would say "No". Machine learning and AI are advancing so rapidly and intelligently that maybe someday, machines could even guide a human to think the way it wants him to think!. But here is an area which I feel, the only right human brain can solve. That is Big Data Analytics. Data analysis is very interesting because when analyzed by two different people, it may yield two different solutions and insights! The insights that one thinks that he could get out of a random dataset might be different. And this is exactly what makes me so interesting in this area, the diversity of ideas that we can explore out of some random unused historical data that was once archived by tagging them as useless and kept on hold for maybe some auditing purpose. But now the same useless data could bring huge profits. A huge amount of data is getting generated at a very fast pace every day. Big corporate giants like Google, Yahoo, Facebook etc are receiving petabytes of data every 4 to 5 hours. This data needed to be stored and processed somewhere efficiently. These data's were of different types. They had structured, semi-structured, unstructured data (Images, music etc) and the worst part was streaming data (Facebook posts). This is the basic problem called "Big Data" which all wanted to tackle. So Big Data is not a technology but is a problem that needed a solution. Google on one fine day decided to publish a white paper on the technology that they were using to tackle the problem of Big Data. They used Distributed Computing methodologies to efficiently store and analyze data. This was the concept of MapReduce. This got the attention of a guy called Dough Cutting who soon developed an Open Source version of MapReduce and named it Hadoop. Soon all IT Giants like Yahoo, Facebook etc rallied to support this. Then came various tools from these giants to make MapReduce programming more comfortable. Now I'm not going too deep into this otherwise, this blog will get too technical. Time has gone by and now we have hot technologies like Apache Spark which uses in-memory computation which makes it even 100 times faster than traditional MapReduce. Main profit of all these tech giants is mostly from marketing which comes from analyzing data that we are searching on the internet. Data is now one of the most valuable assets of any organization, which if tapped efficiently could make them huge profits. 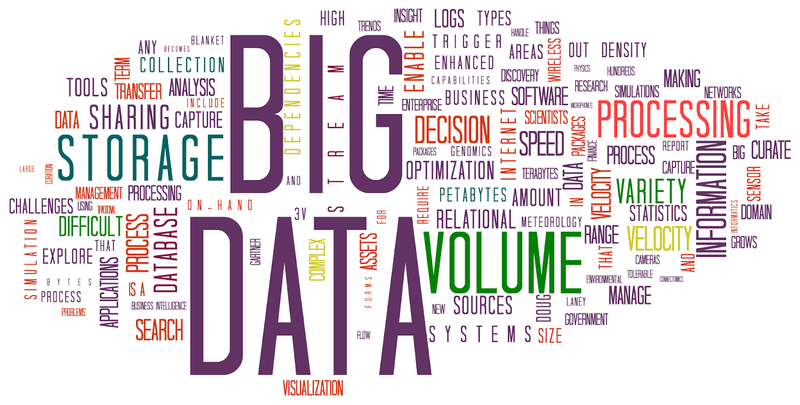 Now, what is it in this Big Data world for you. One thing that I believe is going to be there till human exists is data. It will only keep on growing and new technologies will be researched and developed to efficiently analyze this data. So this is a never-ending area and has a very bright future for at least next 20 years. So if analyzing data and getting useful insights from it makes you excited, jump right away into the world of Big Data Analytics. Happy Learning! !